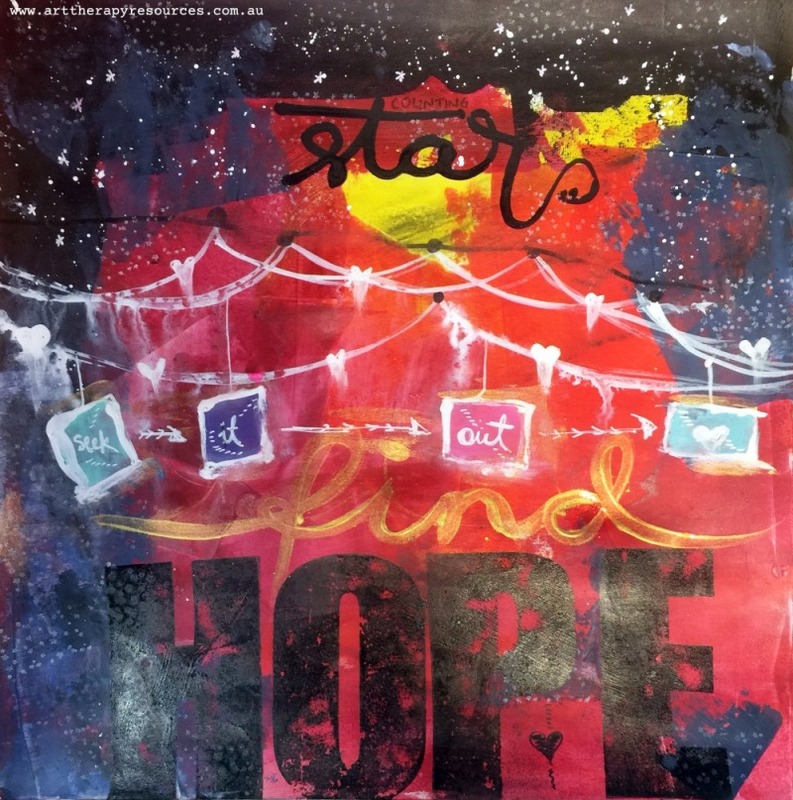 Art therapy is seen as one of the most effective therapeutic methods for non-verbal therapy. This is true for all clients who are either physically or psychologically unable to verbally communicate, as well as clients who find difficulty in verbalising their inner thoughts and emotions. When talk therapy techniques fail, art therapy techniques can help clients explore what cannot be said. For most people memories of past events are often represented in our mind by visual images, not words. We can recall conversations held in the past, however, those conversations are usually recalled with visual imagery. A significant benefit of art therapy is it poses as a non-threatening method in which client and therapist can build a therapeutic alliance. Shared goals often bring people together, and with art therapy, a shared art exercise can help forge this alliance. This is also the case in group work where many individuals collaborate on an art exercise. A strength of art therapy is it facilitates the client’s ability to express themselves through the use of metaphors. A client may create butterflies to signify change and growth or use the image of fire to signify anger. The use of metaphors can be useful for clients who have difficulty expressing and labeling emotions. Although a non-verbal client may not possess verbal skills, they may still possess written skills which can be used in art therapy exercises such as journaling and poetry for example. 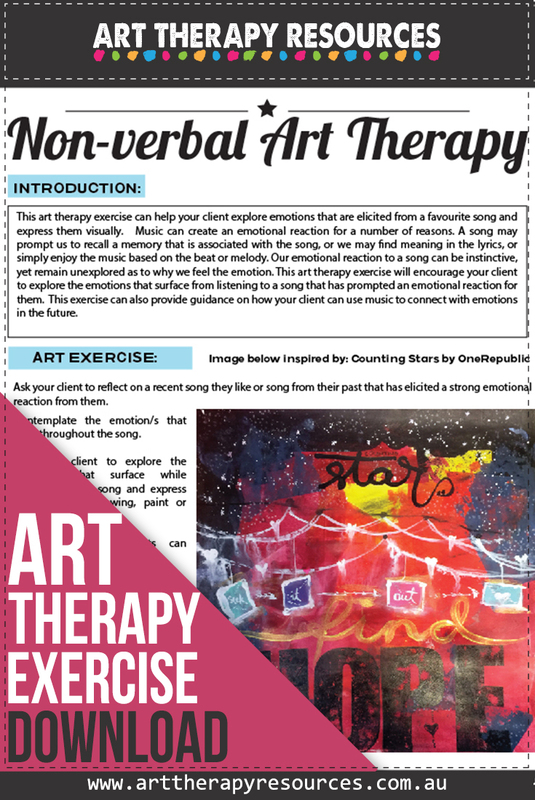 This art therapy exercise can help your client explore emotions that are elicited from a favourite song and express them visually. Music can create an emotional reaction for a number of reasons. A song may prompt us to recall a memory that is associated with the song, or we may find meaning in the lyrics, or simply enjoy the music based on the beat or melody. Our emotional reaction to a song can be instinctive, yet remain unexplored as to why we feel the emotion. 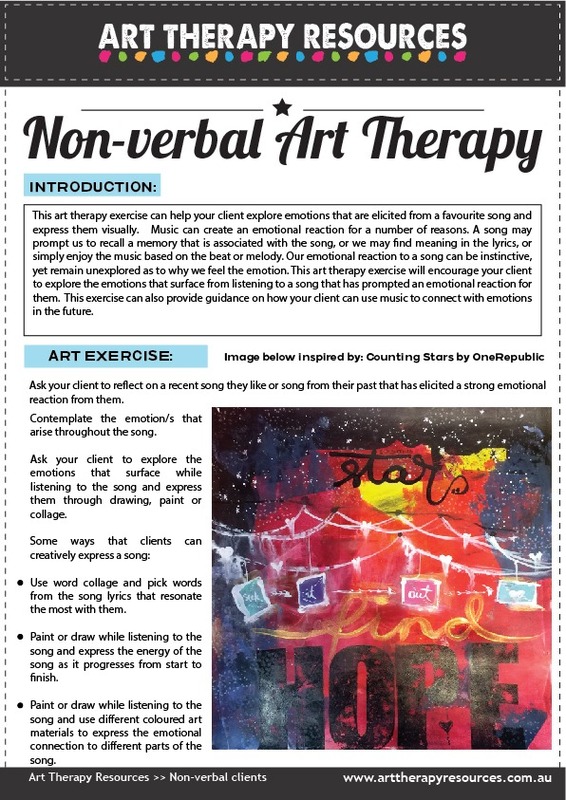 This art therapy exercise will encourage your client to explore the emotions that surface from listening to a song that has prompted an emotional reaction for them. This exercise can also provide guidance on how your client can use music to connect with emotions in the future. Music is readily available on most mobile devices through subscription based products such as Spotify if your client has a specific song that they would like to reflect on in session. Alternatively, you could choose a piece of music from your own collection and ask your client to reflect on that piece of music. Instrumental music is useful for art therapy exercises as it relies on the client connecting to the melody and tempo of the music only. 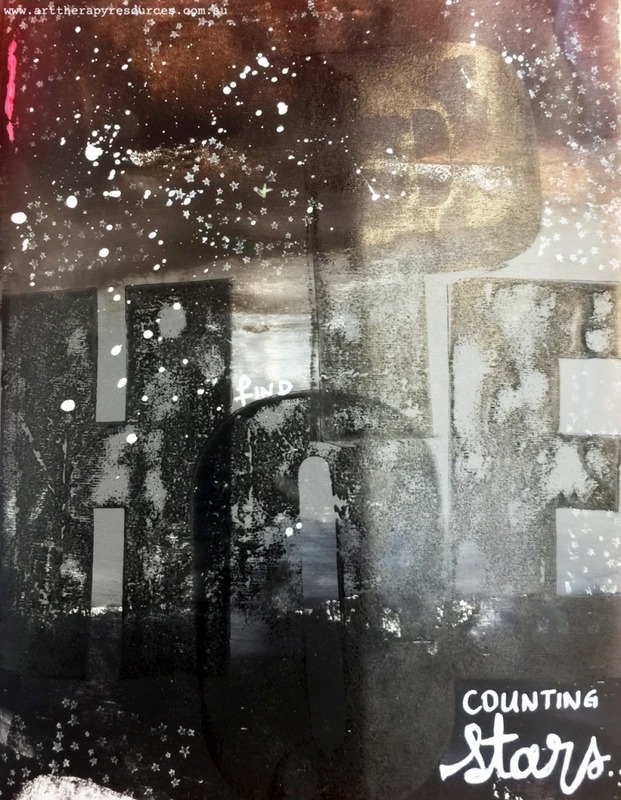 Reflecting on songs with lyrics may inadvertently suggest themes for your client to reflect on instead of relying on their own instinctive connection. There is no right or wrong way to use music, however, you may want to use a variety of music styles to see how your client responds. Ask your client to reflect on a recent song they like or song from their past that has elicited a strong emotional reaction from them. Contemplate the emotion/s that arise throughout the song. Ask your client to explore the emotions that surface while listening to the song and express them through drawing, paint or collage. Paint or draw while listening to the song and use different coloured art materials to express the emotional connection to different parts of the song.